Autumn has arrived and the vineyards of Domaine Rolet have turned their golden color. The foliage remains dense, traces from this 2018 vintage that was not only wet in the spring, but dry throughout the summer. Let’s take a moment together to review the important elements that punctuated the year, and tell the story of a harvest of exceptional quality. We can distinguish two trends during the winter. First, the first months are mild and damp, then a very cold end of winter with important frosts. Finishing winter on a cold note made it possible to lengthen the dormancy of the vine and thus a later bud burst, avoiding a potential new year of spring frost that could be catastrophic for the vineyard – something the Jura has known all too regularly in recent years. Spring arrived very hot, rainy and stormy with frequent hail that did not touch the vineyards of the Rolet, fortunately. Such weather conditions are conducive to high disease pressure, meaning the vines had to be heavily monitored so the Mildew did not spread. The Rolet estate set up a unique planting system several years ago. They tore up and grassed one row of vines for every 5 rows to facilitate access to the plot and reduce erosion problems (common in the Jura). This cropping system was quite beneficial for a year like 2018 because vehicles could enter the plot even if it was soggy. The summer that followed was very hot and dry! 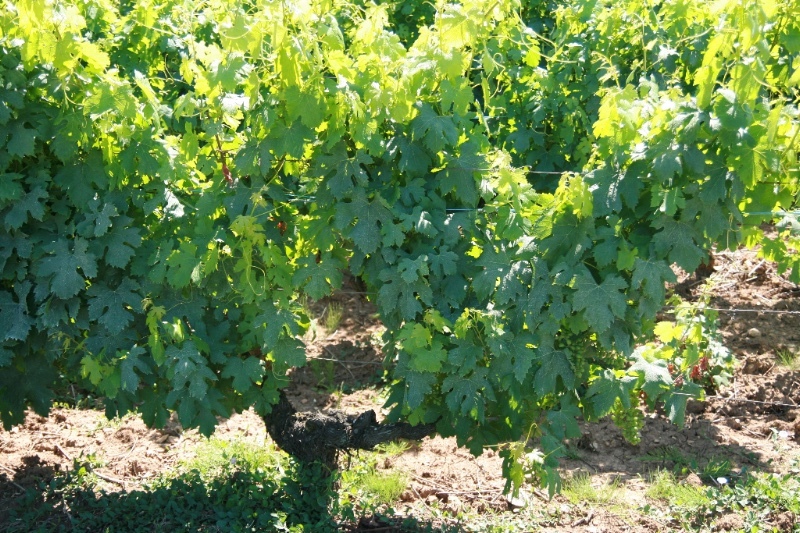 Fortunately, there are no young vines at Domaine Rolet and the old vines have developed a root system deep enough to continue to feed even in times of drought as was the case this summer. 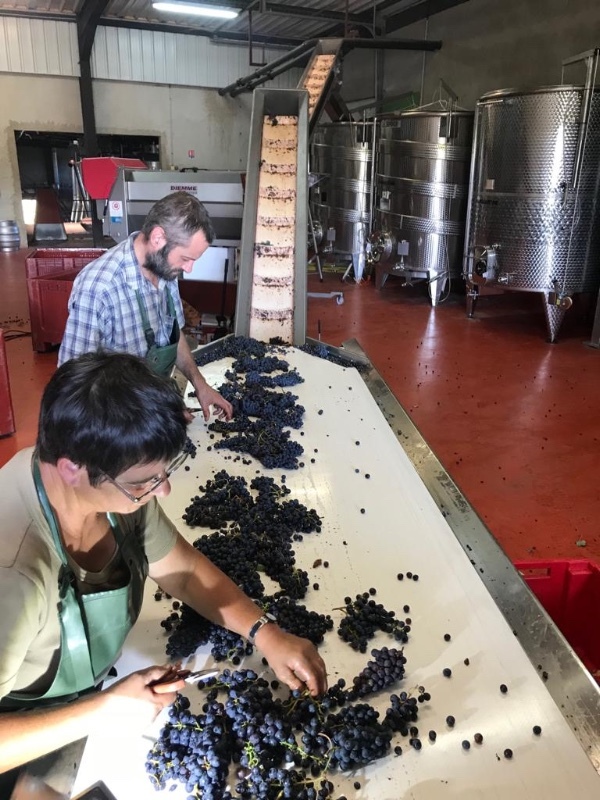 Our 2018 vintage brought together ideal conditions for excellent grape ripeness and exceptional harvest quality, but also many more beautiful changes at Domaine Rolet. 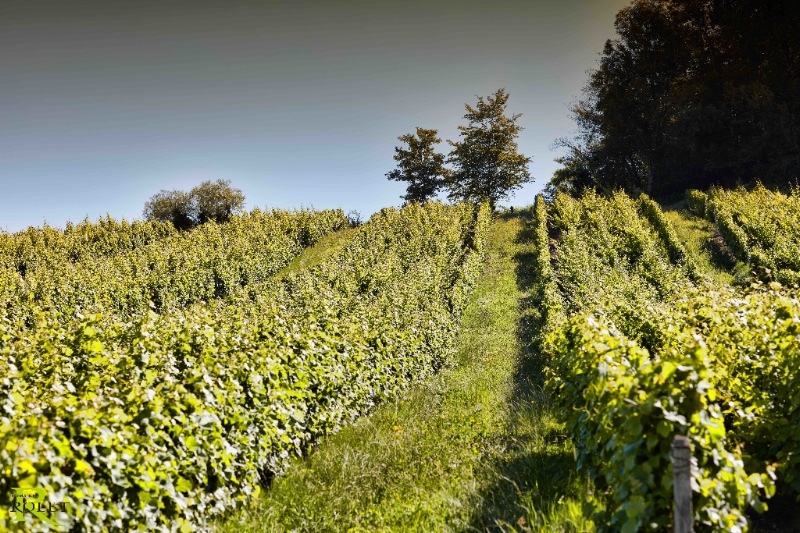 Photos 1 & 2 represent the organisation of the vine-planting system put in place by the Rolet family – 5 planted rows of vines, one row of grass. This grassy row acts as the passage for the mini-tractor to pass, and means less soil compaction. As we had already had the pleasure to share with you, the family Rolet has taken their well deserved retirement in late summer 2018. 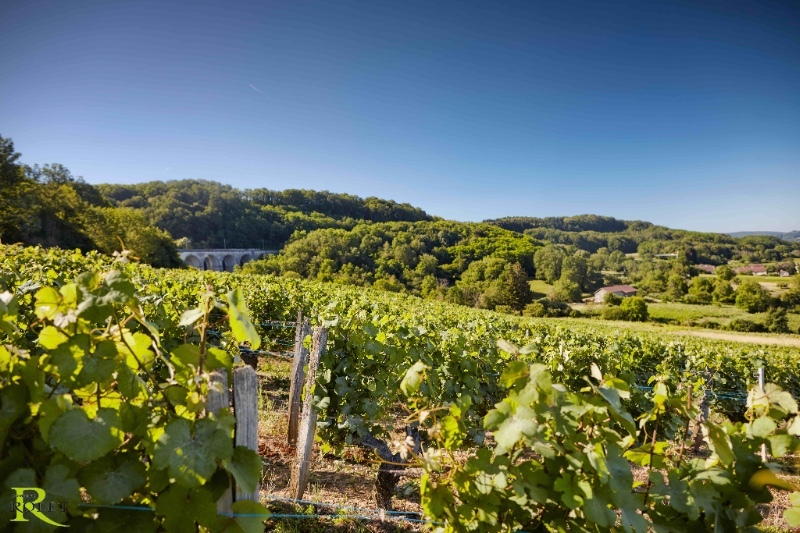 For several years, Eliane, Pierre, Bernard and Guy Rolet were looking to sell the estate they have developed since 1942. 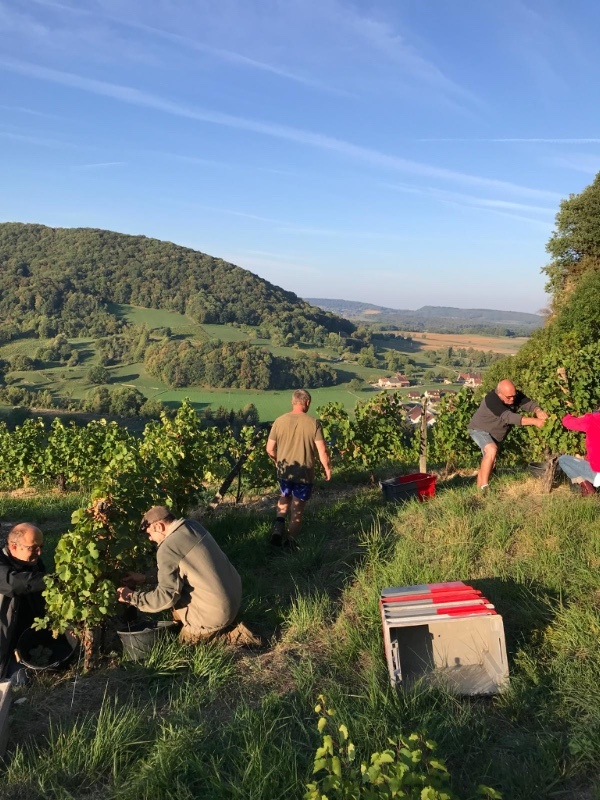 Their requirements for new buyers were high; they wanted to pass the torch to lovers of Jura wines who share the same philosophy for great wines, but also who would be keen to continue the well-established work of the Domaine for the promotion of the different Jurassian soils. 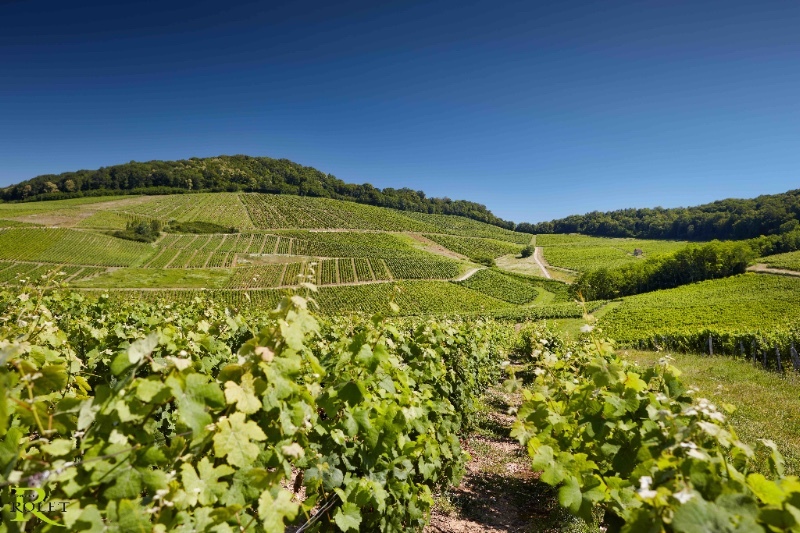 The Devillard family already owned a beautiful portfolio of Burgundy estates; Chateau de Chamirey in Mercurey, Domaine des Perdrix in Nuits St Georges and Domaine de la Ferte in Givry, and had a long history of working with Chardonnay and Pinot Noir. 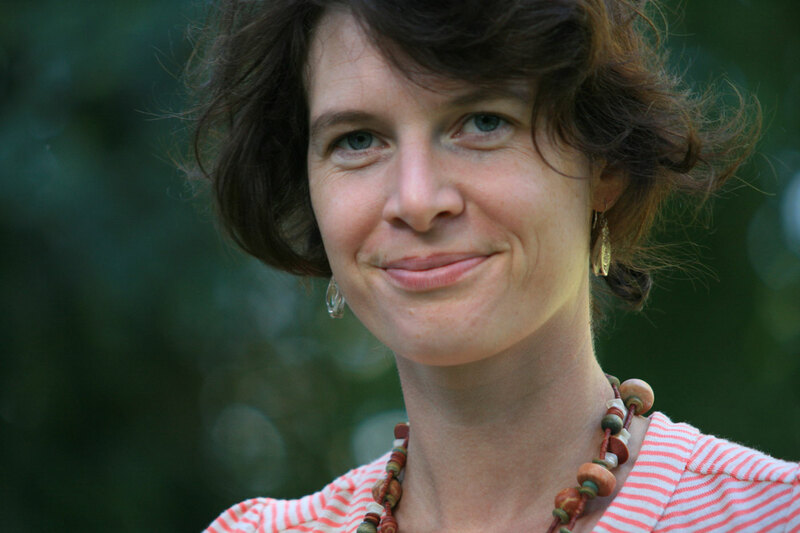 Having themselves the idea about acquiring a domaine outside of Burgundy, they were the perfect candidates. 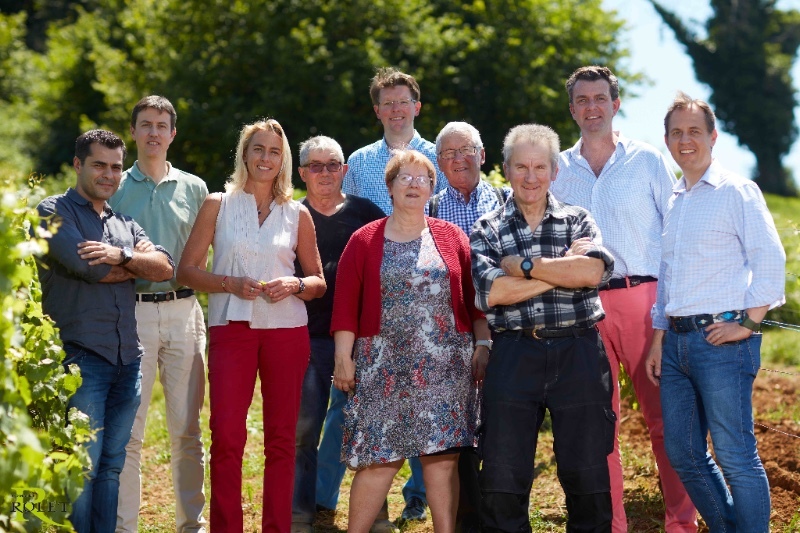 They were seduced by the quality and finesse of the estate’s wines and the passion of the Rolet family for the Jura. These two families share the same requirements for quality winemaking and respect for tradition. The handover officially took place this past May 2018. 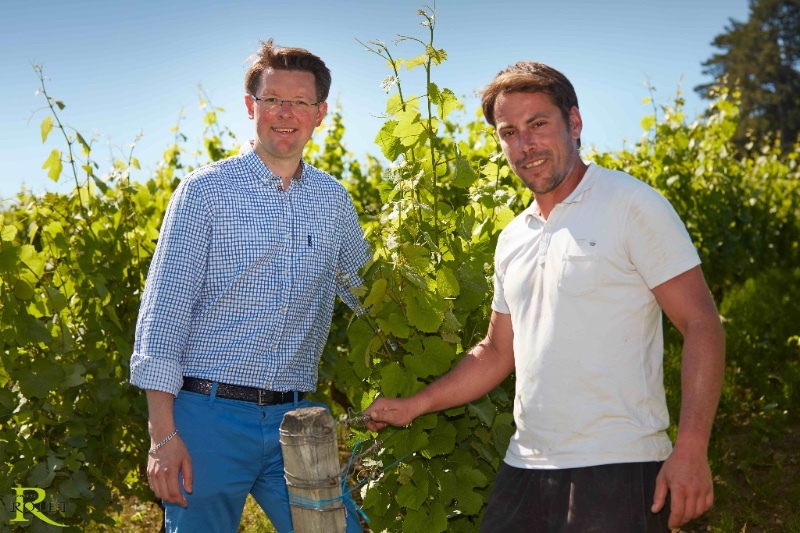 Cédric Ducoté, former export manager for the Devillard domaines and a trained oenologist, was offered the position of Director of the Domaine Rolet, a post he has held since June 2018. He explains that there will be no revolution but an evolution on the work done at Domaine Rolet. Thus, the five grape varieties will continue to be the focus, and the range of wines will remain very close to all that is currently produced. Everyone agrees that 2018 is an exceptional year from a quality point of view across all the different appellations of the Jura. The harvest started on 28/08 and ended on 25/09. The harvest was done under plenty of sunshine and hot temperatures during the day. There was a team between 45 and 95 hand-harvesters, gathering the grapes manually. 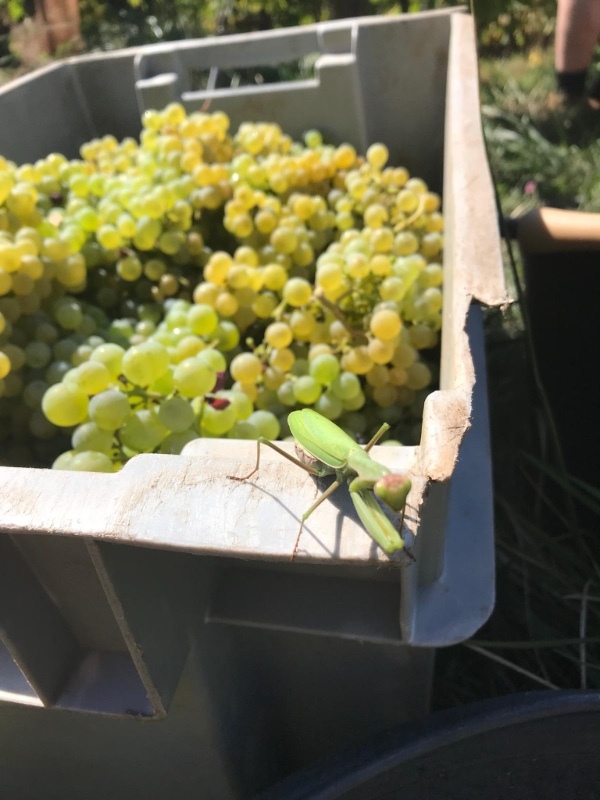 This key element will not change with Cédric Ducoté who recognizes that this is the only way to make the best grape selection in a northern climate. Some priority investments have been made to perfect the quality of red wines. Thus a manual sorting table (having served little this year) and two elevator conveyors were purchased before harvest. 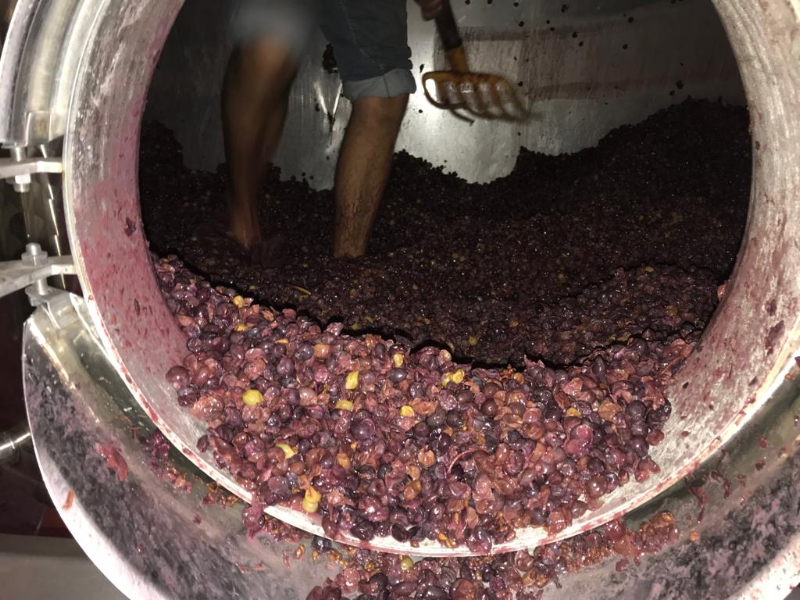 Everything was organized for a vinification of grapes of optimal quality. 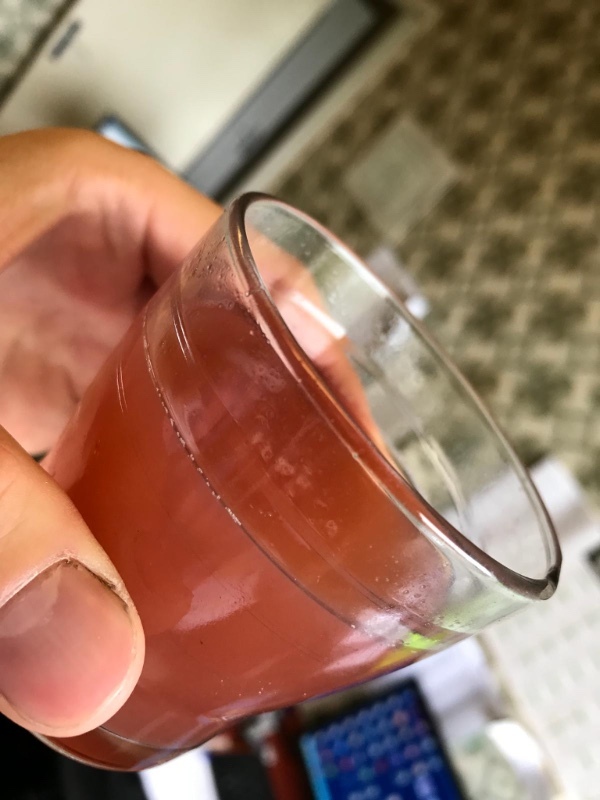 At the beginning of October, when we are writing these lines, several red vintages of Poulsard, Trousseau and Pinot Noir grapes are being extracted; the juices are of very beautiful color and already taste very well. The wines begin their next stage: ageing in foudre for the Poulsard and Trousseau, and in barriques for the Pinot noirs. Those who say new generation, say new ideas, and Cédric Ducoté sees enormous potential at Rolet! Since the beginning, the Rolet family has always vinified by plots, and all the winemaking is done in such a way that we can always identify the terroir from where the grapes come from. The valorization of this work has never been promoted, and it is this effort that Cédric wishes to put in place. 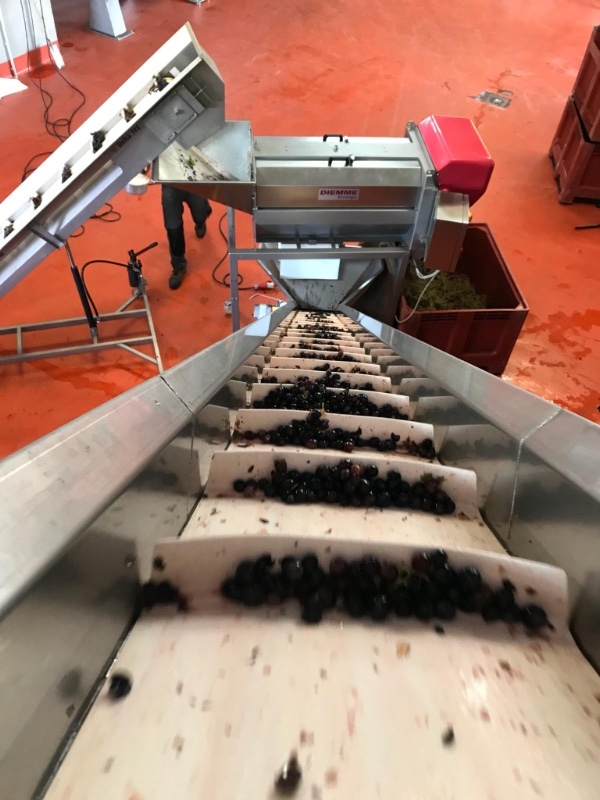 This year already, 3 small new stainless steel vats have been used to isolate winemaking for each of the three red varieties Poulsard, Trousseau and Pinot Noir. All vinifications and lots will be tasted and annotated to identify particularly interesting climates and parcels. 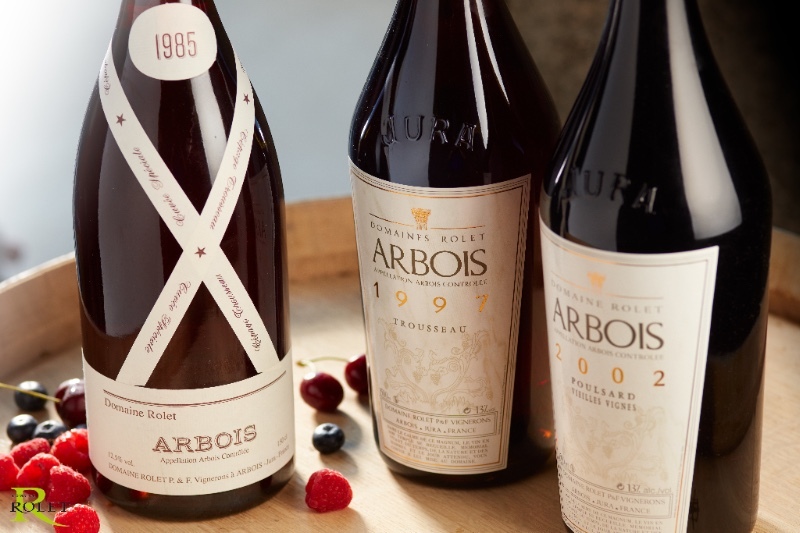 It is here the proud Burgundian heritage contributes to the legacy of the Jura that was initiated by the Rolet family. It’s a safe bet that in a few years we can offer special cuvées of localities from the soils of Arbois, real cradle of the estate Rolet. We are fortunate at Rolet to have many many old vines of 35+ years. 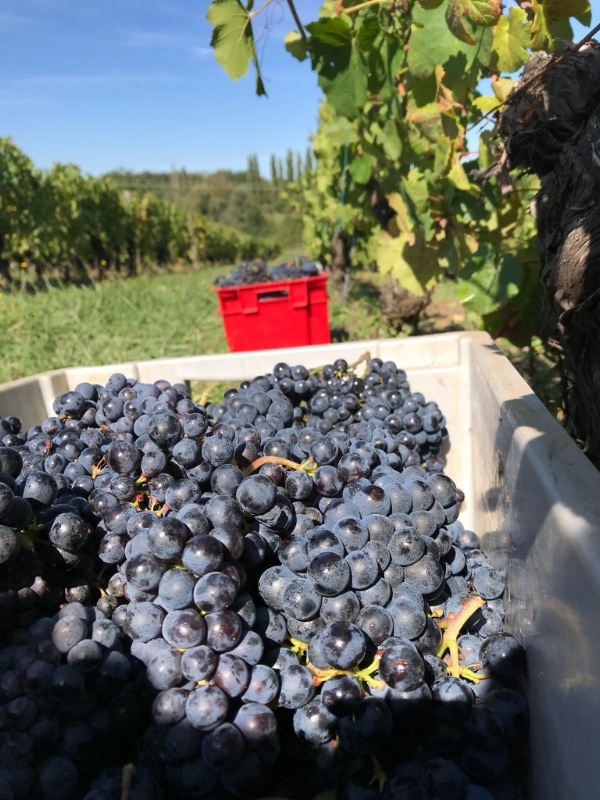 Massal selections have always been the rule at Domaine Rolet but it’s a job that has not been done in recent years as no new plantings have been done. This process of identifying and marking Massal vines takes several years because it must be validated that all the required parameters are met: resistance to diseases, production of quality grapes, well-distributed fruit loads, etc. When the vines have been identified and validated, then it is possible to take vines for future planting. Domaine Rolet intends to embark on this extraordinary project and renew the vineyard regularly over the coming years. Alcoholic fermentations were performed without the addition of yeast. Some red wines were vinified without sulphite. The quality vintage and the know-how of the Devillard family guided this choice in a quest for the truest expression of the terroirs. The results are tasty and the juices precise and complex. As you know, the range of wine is wide in the Jura and white wines rub shoulders with reds, rosés, yellows and crémants, desserts and spirits! The estate Rolet is also rich with an extensive collection of old magnums kept in ideal conditions. These magnums are regularly offered when they have at least ten years of cellar. The region owes the Magnum-shaped Jura bottle to Pierre Rolet who supported this project in the late 1980s, as he was convinced that only the major wine regions had their own bottle of Magnum. The first year to enjoy this new bottle was 1990. The estate has since regularly put in magnum its cuvées of Chardonnay, White Tradition, Poulsard, Trousseau, Pinot and Memorial (90% Trousseau 10% Pinot Noir). 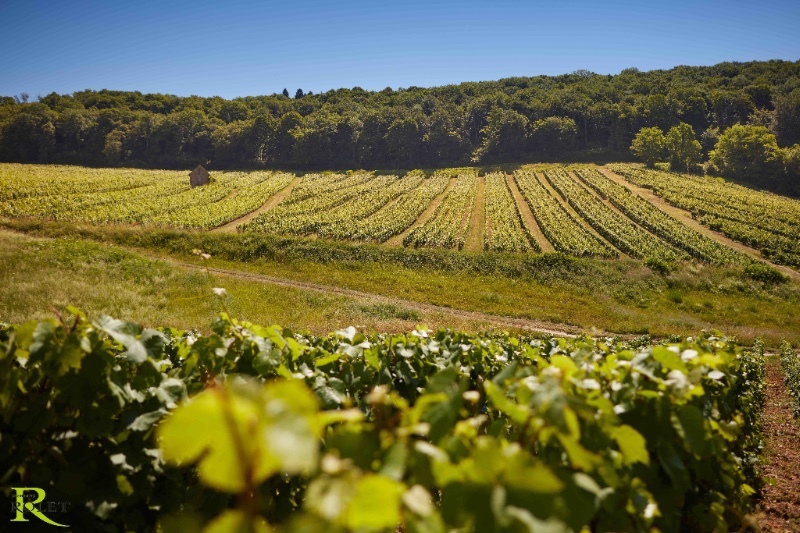 As the Poulsard gets older, it takes on notes of undergrowth and humus, yet the wine keeps its aromas of red fruits. The acidity present on the younger vintages is totally integrated, giving a lot of flexibility. While ageing, the Trousseau retains its aromas of black fruits, cherries but also develops notes of wood, undergrowth, smoke. The texture is elegant. Very tasty wine that is still expressing its youth! Notes of undergrowth, smoke, tobacco, cherry, plum. Wine with a nice freshness … again! This cuvée is a blend of 90% of Trousseau and 10% of Pinot noir vinified and aged separately in their respective foudres and barrels. This cuvée was only produced in the vintages of remarkable years. On the occasion of the new millennium, the family Rolet had put in Jeroboams Arbois Savagnin 1994, after more than 6 years of ageing, the legal ageing time of the Vin Jaune Wines. Today after 24 years of agieng, this wine is a real explosion of nuts, hazelnut, green almonds, curry. The mouth is always tense and fresh.